Disclosure: Tickets were given to us to facilitate this review and giveaway. We did not receive any other compensation. It is hard to believe another summer season is upon us but it is! And, there is nothing like the smell of BBQ and the sounds of rock on the edge of the Cuyahoga to welcome the summer sun. 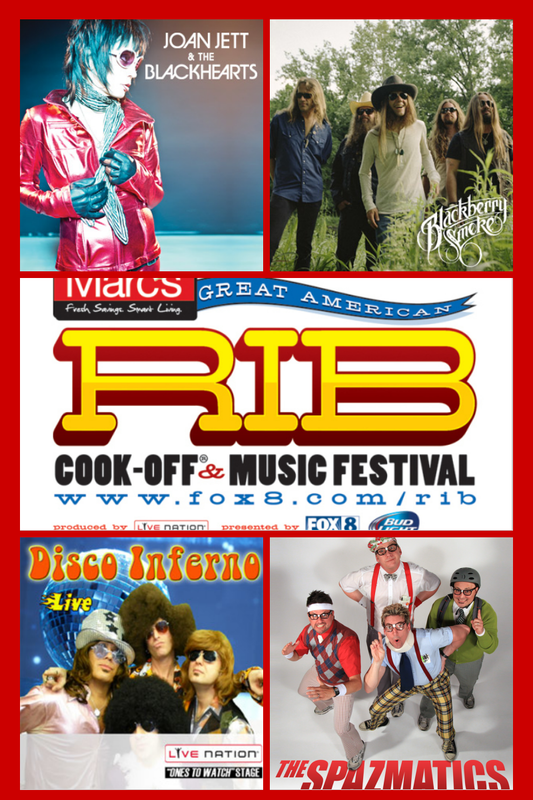 It is time for the 23rd Annual Marc’s Great American Rib Cook-Off & Music Festival Memorial Weekend. Taste and hear the sounds of summer Friday, May 23, through Monday, May 26, at Jacobs Pavilion and Nautica Entertainment Complex on the West Bank of the Flats! And they have generously given me TWO (2) sets of FOUR (4) general admission tickets to giveaway! We were there last year and had a brilliant time, soaking up the sun, eating grilled pineapple, and just enjoying the bands that were playing. It was a gorgeous weekend, not to hot and not to cold and we all had a great time. There was fun for the kids, great music, and this year - no tickets! In the past you had to buy tickets up front, guessing how much you may spend and ending up going back to buy just one more for the rest of the day. Not this year! All vendors are on there own for payment which means no more worrying about those blasted tickets. This is a great family, friendly event, and kids under 12 are always free. Plus there are several discounts available to help make this a budget-friendly outing. Friday is Dollar Day with adult general admission only $1 and admission is FREE Saturday and Sunday until 3 p.m.
Attendees can also save $2 Saturday, Sunday and Monday on adult general admission tickets with discount coupons available at all Northeast Ohio Marc’s locations. 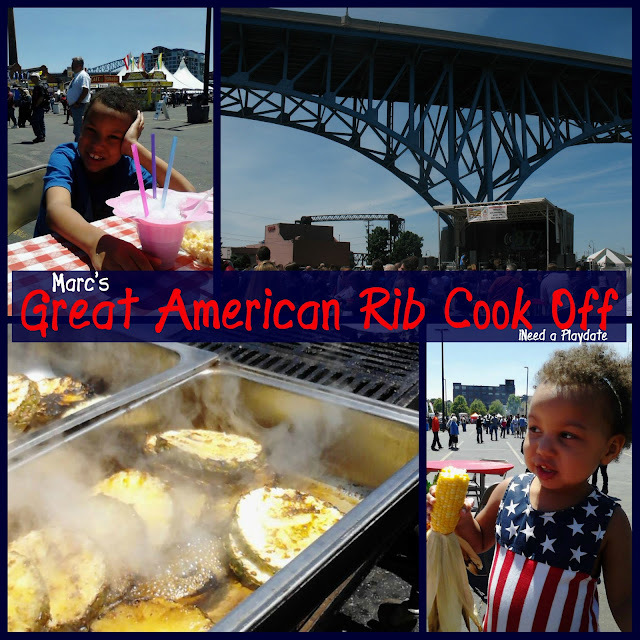 In addition, during the Rib Cook-Off weekend, save $5 off adult and children’s general admission to the Greater Cleveland Aquarium with a coupon from Marc’s or go here to print it. What is included with cost of admission? Sizzling entertainment from The Spazmatics and Disco Inferno, Joan Jett and the Blackhearts, Taking Back Sunday, Blackberry Smoke, Steve Broderick & The 100 Watt Suns and Dylan Scott, along with dozens of regional bands performing on two stages throughout the weekend. See the full line up here. Now it is time to win tickets! I have two sets of four tickets to giveaway via rafflecopter!